Real estate marketing has seen tremendous change over the past decade. Unsurprisingly, things no longer revolve around TV commercials, newspapers or billboards. Most real estate agencies have left all of that behind and replaced them with marketing strategies that are a lot more modern. Due to the limitations of photography, agencies and clients alike are now becoming increasingly more interested in drones for real estate. After all, a good video shot by a drone from a variety of angles is a lot more helpful than a few pictures. 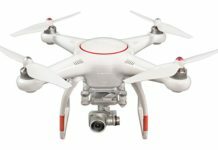 3 How to Find the Best Drone for Real Estate Marketing? 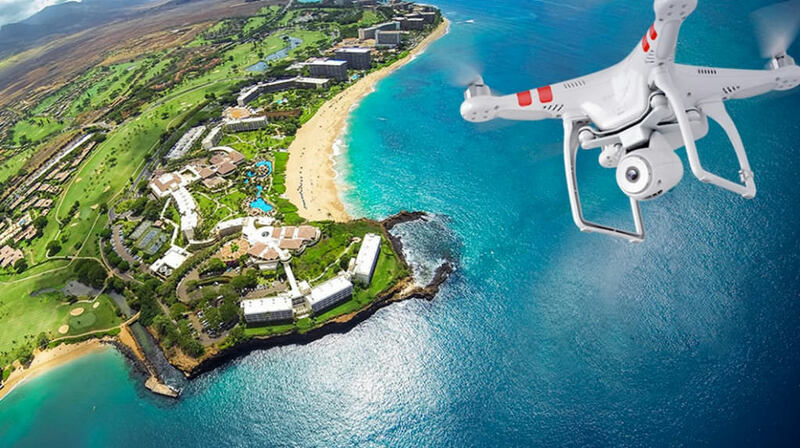 4 How to Use Drones for Real Estate? Needless to say, there are many benefits to using drones in commercial real estate. This market is very competitive by nature and that means that it’s very hard to stand out from the crowd unless you’re using all the latest tools available. Having a strong social media presence is a must but it’s only the first step. Sellers also need to use modern video technologies if they want to be successful. Why? Well, put simply, clients are no longer impressed by low quality videos and regular photography. It’s not very surprising when you think about it. Buying a new home is an important event in a person’s life and most people only get the chance to do it once. People are usually only able to physically visit a limited number of potential homes before making a decision. But that’s where using drones for real estate can really come in handy. Why should you physically go to various locations when you can simply experience a virtual tour of the real estate? This alternative doesn’t cost a thing and will give you a good idea of what to expect when done properly. Creation of compelling images – Pilots can use modern drones to capture quality footage from a high vantage point. This type of footage simply isn’t possible with traditional digital photography. 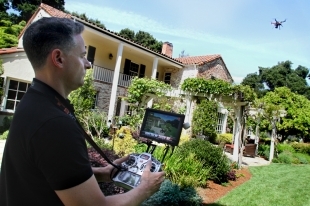 Highlighting the property features – Drones can be used to showcase important features found around a certain property. These can include things such as back yards, pools, walking paths, and more. Impressive virtual tours of the property – Although mainly used to capture exterior footage, drones are more than capable of filming indoors as well. The resulting videos can then be used to create virtual tours that are much more interesting. 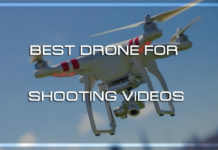 Money-saving – Aerial photography can also be accomplished using a helicopter, however, drone footage is obviously a lot cheaper. Generate new businesses – This is a great way of impressing buyers and letting clients know that you are tech savvy and comfortable with using all the latest tools. Getting above the competition – Real estate agents who are using drones automatically gain an advantage over their competitors. It goes without saying that listings which include drone footage look better than regular listings. As you can see using drones for real estate marketing can do wonders for your business. In order to keep on making profit in real estate, you need to keep up with the modern technology. That’s exactly what the modern home buyers want from you! If you want to be a successful real estate agent you’ll need to learn everything you can about your potential clients. About 35% of people looking into buying a new home are millennials and they’re very specific about what they want to buy. More importantly, they are well informed and are very familiar with using modern technology in all aspects of their lives. Whether they’re looking for a place to eat or a home to buy, you can be certain that millennials will do some research on the internet before committing to any important purchase. Successful real estate agents have learned to adapt accordingly to this new audience. Many technologies that were once only used by extremely tech savvy people are now widely used in real estate marketing. Using these technologies is crucial if you want to engage with potential buyers and learn what they’re looking for. It might be a steep learning curve if you’re not particularly tech savvy but the effort will be well worth it in the end. Buying a new home is an important event in everyone’s life. As such, most people look at it as a social activity that requires the involvement of various third-parties. These often come in the form of real estate agents, loan officers, and certain family members. Clients like to consult with as many people as possible and gather plenty of information before making a final decision. That’s where online advertising comes in handy. Real estate agents have plenty of great platforms to choose from if they want to expand their online presence. Facebook, YouTube, Flickr and others are perfectly suited for video presentations and virtual tours. Drones can help you with all of these things. You can use them for digital photography, visual presentations, and whatnot. It’s no secret that people seem to have shorter attention spans nowadays. This makes it particularly challenging for real estate marketers to captivate potential buyers through traditional means. Visual marketing is essential for engaging clients and there are a few ways to go about it. This is the traditional way of showcasing real estate and is still fairly successful. Videos are arguably the preferred method but pictures continue to play an important role in real estate marketing. The reason for this is that a good photo can immediately attract attention to a certain listing. Meanwhile, it takes a bit more time to watch a video and sometimes people don’t have the patience for it even if it does offer a more detailed look. Thanks to modern smartphones, it has become easier than ever to take high quality pictures of properties even if you don’t consider yourself much of a photographer. That said, it might be a good idea to use a good SLR camera instead of a smartphone whenever possible. You’ll generally get better resolution images with cameras and that can make a big difference at the end of the day. When it comes to low-end listings, you can get away with taking the pictures yourself and save a bit of money in the process. If you want to go one step further, online courses in digital photography can teach you everything you need to know about editing your pictures. If we’re talking about mid-range or high-end listings, however, you may want to consider hiring a specialist. Professional photographers have a lot of experience and are able to produce higher quality images. Some of these specialists are not cheap to hire but the cost is usually well worth it. Video slideshows consist of a series of images along with some background music. These types of virtual tours are fairly common and not very difficult to pull off. You don’t really need a professional photographer for these slideshows so learn how to do them yourself and save some money in the process. DIY slideshows are nice but if you truly want to impress potential buyers, you’re going to need a high-quality video. The video should include shots from various times of day and from every possible angle of the property. These videos should be used for high-quality listings and require the services of a professional videographer. This is a perfect example of modern technology in action. 360-degree walkthroughs are the closest thing you can get to a physical tour of the property. Most people are already familiar with this technology as it’s the very same technology used by popular services like Google maps. In other words, buyers have a good understanding of how to use it and many of them probably expect to see it on every listing. As you can see, all of these things can take your real estate business to a whole new level. But to get there, you need to do a pretty good job. One device that can help you with that is drone. So, make sure to get yourself the best one that the market has to offer. 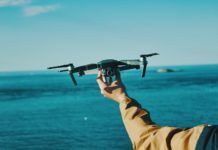 How to Find the Best Drone for Real Estate Marketing? Battery life is still fairly limited for the vast majority of drones currently available. For the most part, you’re looking at something along the lines of 15 to 20 minutes. That’s not a lot to work with but you can extend the flight time by getting a couple of extra batteries. You’ll still need to bring the drone down to replace the battery but at least you won’t have to immediately recharge it. The limited battery life can be a bit of a hassle but it’s definitely not a deal breaker. In order to make the most out of your drone, be sure to map the flight path beforehand. It’s also a good idea to take several shots of the same objective while in the air. That way, you’ll have the option of choosing the best ones while editing. This is pretty obvious but the quality of the camera is crucial if you want to capture excellent footage. It might seem tempting to focus on other features or simply buy a cheap drone that can still get the job done, but that wouldn’t be a very wise decision. Camera quality should be one of your main priorities even if you end up paying a bit more for it. At the end of the day, though, high quality videos and images will attract a lot more customers. Nowadays you can easily find drones equipped with 4K cameras so make sure you grab one of those if you can afford it. Granted, some of these drones aren’t exactly cheap but you don’t necessarily have to go for the most expensive one to get the desired result. There are plenty of drones out there that offer great cameras and won’t cost you an arm and a leg. A camera gimbal is vital if you want the drone to capture the best possible shots. This piece of equipment stabilizes the camera and allows it to maintain its direction even when the drone is moving. The resulting pictures are a lot clearer and jitter-free, which is exactly what both you and buyers are looking for. You can of course try using the drone without the camera gimbal but you’ll probably not be very happy with the results. The camera tends to vibrate while the drone is in motion so the shots are often not very good unless you use this piece of equipment. Experienced drone pilots are able to take incredible shots while also flying the drone at the same time. However, controlling both the drone and the camera is no easy feat. You will eventually get there with enough practice but if you’re not willing to invest the time and effort, there’s an alternative solution. Drones that come equipped with intelligent flight modes make life much easier for pilots, especially if they’re not very experienced. These types of drones use a waypoint navigation system that enables you to map a specific course ahead of time. Simply set the desired course and the drone will automatically follow it while also passing through all the selected waypoints. This way, you can focus entirely on capturing great pictures and videos without having to worry about operating the drone at the same time. How to Use Drones for Real Estate? 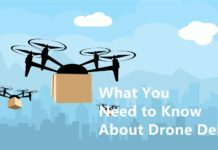 There are a few things everyone should be aware of before attempting to use drones for real estate. 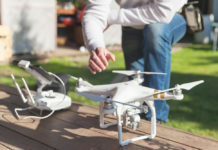 The best tips on using drones for this purpose come straight from the Federal Aviation Administration, or FAA for short. Just as its name indicates, this is a national authority tasked with issuing rules and regulations related to all aspects of civil aviation. 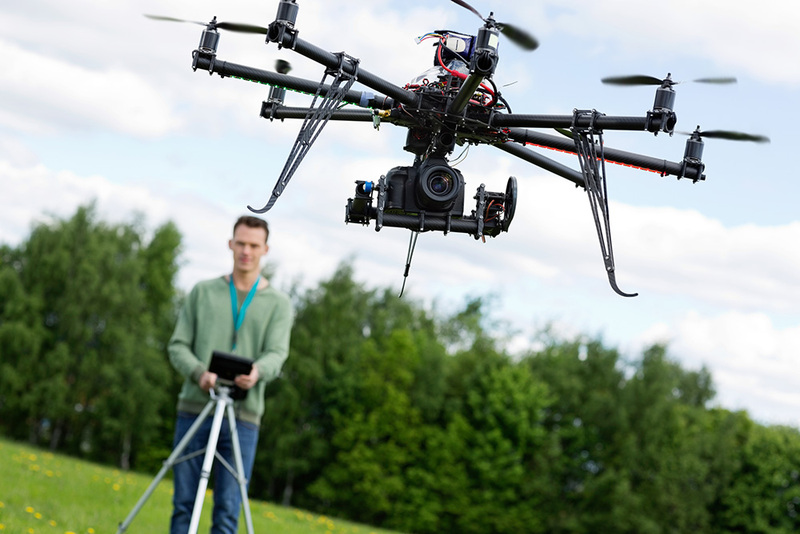 This includes the legal use of drones for things such as photography, surveillance, transportation, and more. The latest guidelines regarding commercial drones were issued back in June 21, 2016. 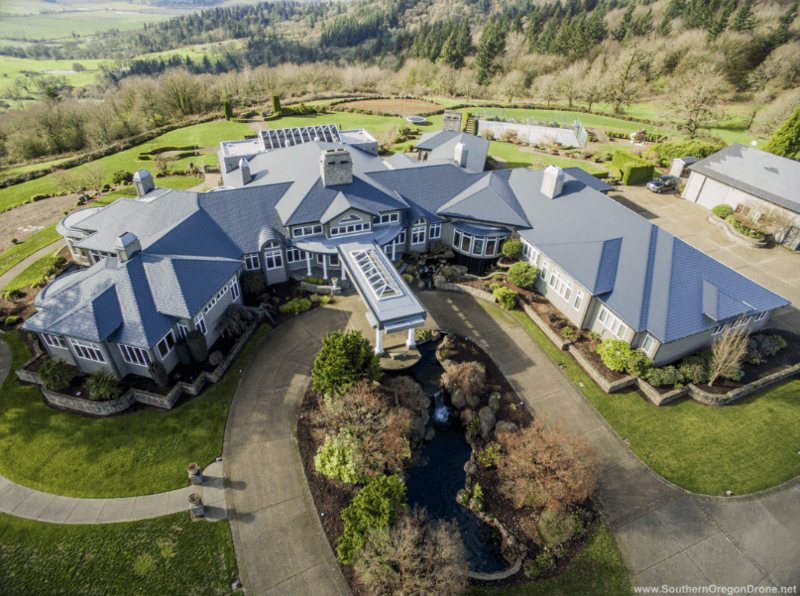 Thanks to these guidelines, it is now easier than ever to use drones for real estate photography. Interestingly enough, though, the National Association of Realtors (NAR) states that commercial drone pilots aren’t actually allowed to use these devices for the purpose of filming real estate listings. That is, unless they acquire a Section 333 waiver from the Federal Aviation Administration. Thing is, only those who already have a pilot’s license can get their hands on this waiver. Needless to say, there’s some conflicting information here. That may seem somewhat discouraging but don’t worry because the waiver in question isn’t actually necessary. After all, most drone operators don’t have a pilot’s license because it’s very difficult to get one. 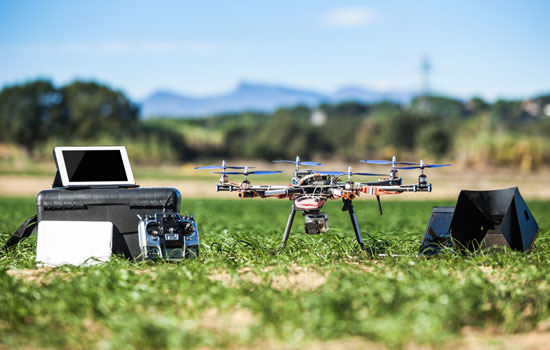 What we advise you to get is a remote pilot’s certificate, which is fairly easy to obtain. Acquiring one of these certificates requires that you pass an exam at one of the FAA testing centers. You don’t need any previous flying experience to apply for the exam. The FAA test will set you back around $150 and will take about 20 hours in total to complete. In addition, applicants must also be 16 years or older when applying, speak English fluently, be physically and mentally able to operate drones, and even pass a background check issued by the Transportation Safety Authority. In addition to meeting the aforementioned requirements, applicants must also be aware of certain operational limitations. You will get your certificate in 6-8 weeks after passing the test. But in order for your pilot status to remain in good standing with the FAA, you must adhere to their guidelines, such as making sure your drone doesn’t weight more than 55 lbs. (25 kg), for example. You also need to pay attention not to take it higher than 400 feet above ground level or fly it directly over people’s heads. When it comes to the speed, your drone must not fly faster than 100 mph. Both the drone and the flying route must be carefully inspected before every flight. Your job as a drone operator is to ensure your drone flies only when there is absolutely no risk to anybody or anything. Drones enable real estate agents to take things to the next level and truly impress their potential customers. Not only can drones capture video of the property itself, but they can also showcase the surrounding areas. In turn, this is something that’s guaranteed to bring results business-wise. The more attractive the property presentation is, the more likely buyers are gonna actually make the purchase.